The Kelong seafood restaurant, located at the western coast of Nirwana Gardens, offers a panoramic view of the South China Sea and the luxurious Indra Maya villas. 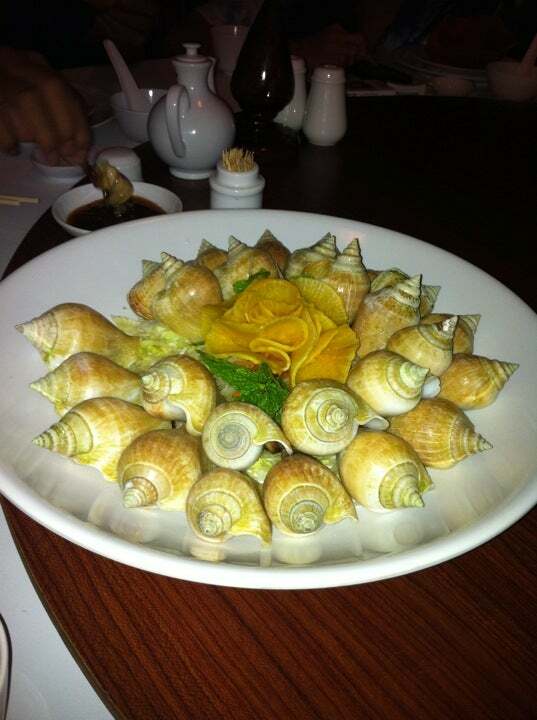 Why The Kelong Seafood Restaurant is special ? How to get to The Kelong Seafood Restaurant? The bus service is available every 30 mts and the last bus service is at 23:30 hrs. If you are going there for dinner on a weekend at around 7pm to 9pm, do ask the hotel to make reservation for you. We got S$454 set for 8 persons. Can change some foods. We changes garlic kangkong and kungpow chicken. All foods are good. Stone crab is good too. “Wonderful ambience with great seafood” Bintan is a wonderful destination for those looking to get away from the hubbub of city life in Singapore or other busy cities. As the island itself is still relatively undeveloped this also means that going out from your hotel/villa to find some great food is not as easy as it might be in other popular holiday islands. As a result most visitors end up staying in their hotel resorts or villas not really venturing out into other parts of the island. However even though our family was staying in the Bintan Lagoon area we were keen to try and find some of the food highlights in Bintan even if this meant making a car or taxi ride out from our accommodations. 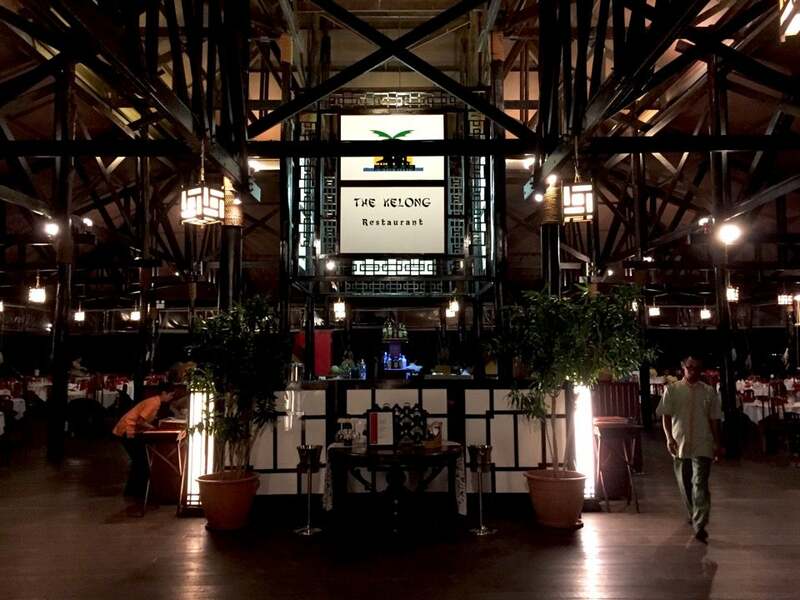 After researching a little on TripAdvisor and other blogs we kept coming across 'The Kelong' and decided to give it a try. Upon arrival for lunch we found the place very quiet with seating for probably over a hundred diners in a restaurant built on stilts over the sea. The setting was wonderful and it was only with hindsight that actually an evening dinner around sunset might actually be a better choice for the best time to come. On entering the restaurant we walked past tanks of fish and small nets where we could see a few different types of shellfish including some very large lobsters. Our young children very much enjoyed trying to recognise and spot the many varied creatures on display. 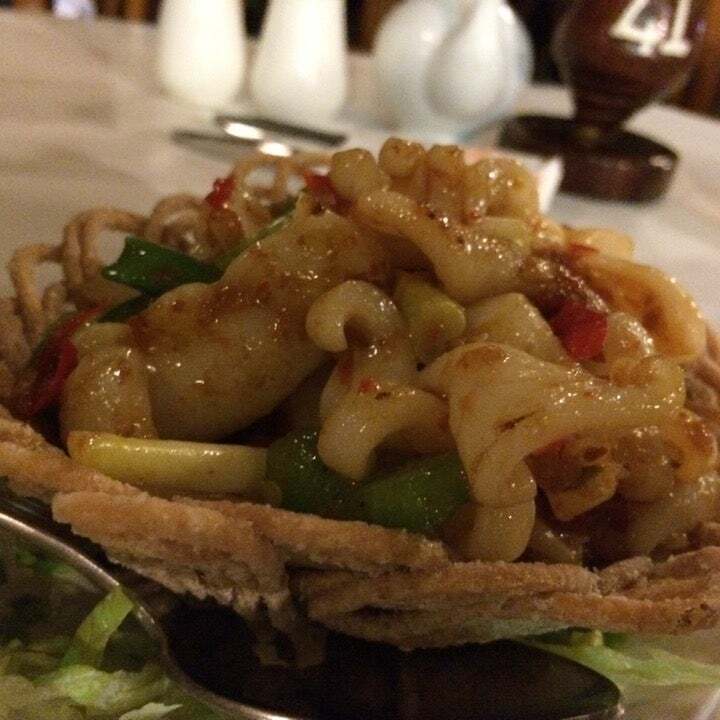 After being seated by the ocean view we ordered a selection of dishes including some we had read about online. Some of the dishes we ordered were Tom Yam Soup, Black Pepper Crab, Crispy Chinese Chicken, Baby Gai Lan with Oyster Sauce and Fried Rice with Seafood. The Tom Yam was just the right mix of Hot and Sour with small pieces of local shellfish thrown in for good measure. 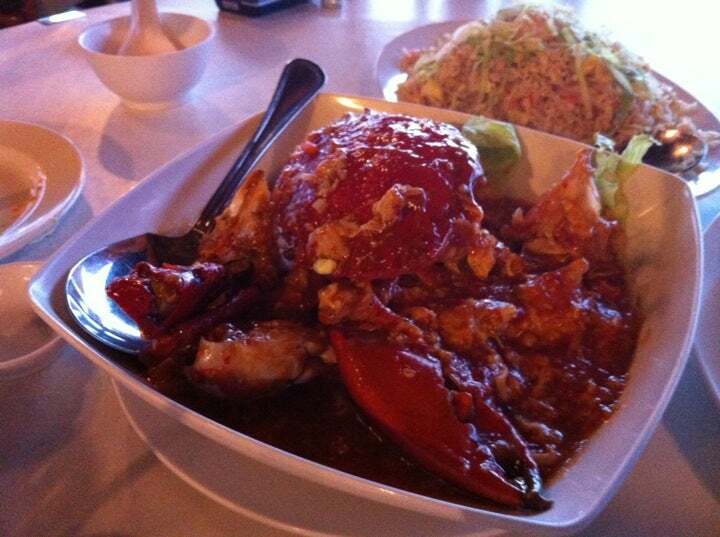 The Black Pepper Crab was a very nice hunk of a crab in a finger licking sauce which put our fingerbowls to good use. The Crispy Chinese chicken was also nice although a little dry in some parts and the Fried Rice was very much enjoyed by all including our young children. The bill for our group of 5 adults and 3 children came to a very reasonable USD 110 which we thought was pretty good value considering the freshness of the fish and seafood. You certainly would find it difficult to get this amount of seafood in Europe or the US at these prices. Anyway, I would certainly recommend The Kelong as a worthwhile excursion from your hotel in Bintan with a great ocean-side ambience. Perfect for both romantic meals or large family get-togethers.